“Going green” and having a positive impact on the environment feels great both personally and professionally. However, as a business owner, I need to ask which measures make the best business sense. Obviously certain things are a no-brainer. If you use energy efficient light bulbs or water saving fixtures you will consume less and save money. When it comes to waste we had another easy decision. Recycled waste costs less to have hauled away than landfill waste. 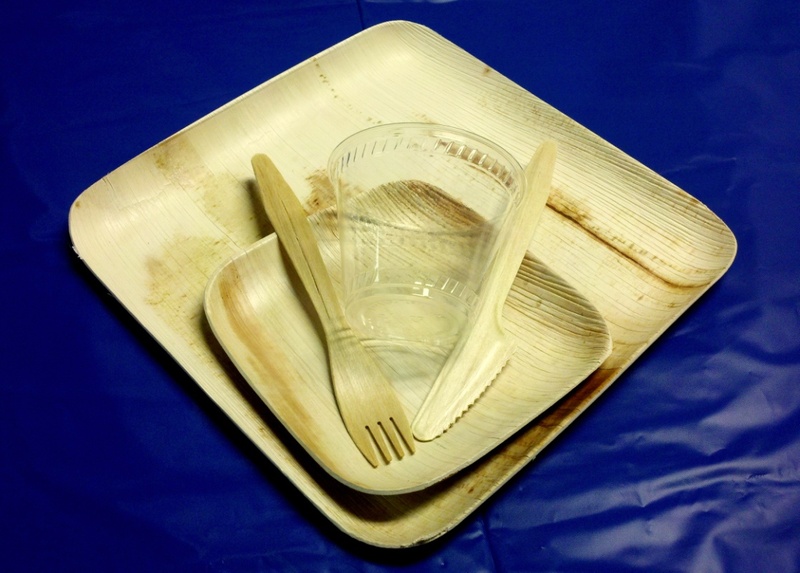 Everything we could convert from the landfill waste to recycling would save us money. We now recycle 2/3 of our waste and the cost savings has been enormous. When it comes to composting, the decision is not so simple. About a year ago we started a pilot composting program to analyze how much material we could compost and what the cost could be. We started composting a portion of our food waste. 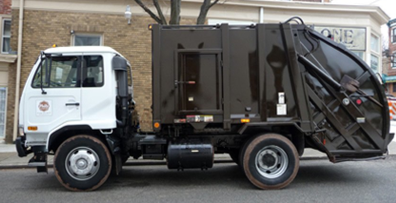 Philly Compost, a local small compost hauler, picks up our food scraps once a week and brings it to a professional composting facility in Royersford called Two Particular Acres. 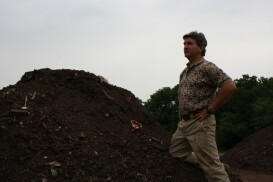 Ned Foley, the owner of Two Particular Acres, works the food waste along with yard waste and other compostable items into nutrient rich compost. It is then sold to farmers resulting in an all-around win-win for everyone. In our analysis, we discovered between composting and recycling we have very little landfill waste – close to zero waste! The dilemma is that it costs more to send waste to the composting facility than to the landfill. From a business sense, looking at the bottom line purely economically – composting is not a great thing. However, we needed to evaluate the big picture, and look at other ways that this program is valuable to us and the community. 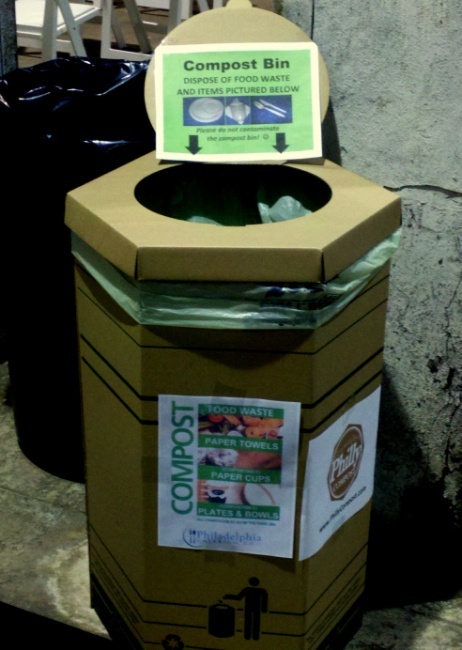 One way we can accomplish this is letting our customers know that we go the extra mile to compost our waste. Our hope is they will see value in this and use our catering service and tell others to do the same – now this is starting to make a little more sense. We can get our customers involved by offering them the opportunity to use this service, as we now offer composting as an option for all of our catered events. 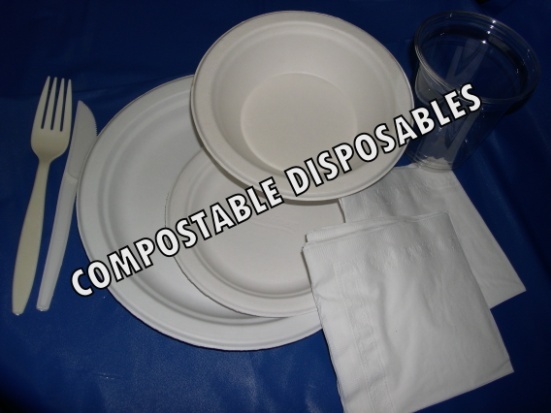 We will provide the compostable disposables, compost receptacles and composting instruction signage. We will also work with you to make sure there are recycling and landfill receptacles on site to help insure that the compost bin will not be contaminated. We provide the proper signage for all the receptacles. After the event we will remove the compost receptacle and send it off to Two Particular Acres to be professionally composted. 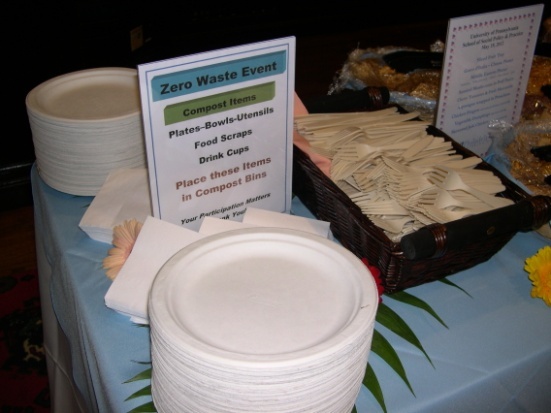 Please tell us if our composting program makes a difference to you in deciding which caterer you choose. Send us an email or tell our driver. We would love to move more in the direction of becoming a zero waste operation, while meeting the needs of our customers and doing what is best for the environment. You are doing a great job, I have been following your posts all time long and I have seen innovation in each of your work. This is indeed a great step to go green. Thanks you for your feedback, we will continue to keep you updated on our efforts.